To set up the integration you must first register with MOSS. Once you receive your credentials, you will enter that ID in the settings page. This is only enabled for instructor or TA account types. From either the project or assignment details page, an instructor has the option to run both MOSS and Mimir Classroom plagiarism reports. If you have entered your MOSS user ID in your account settings, you will see your ID show up in the modal prior to running the report. 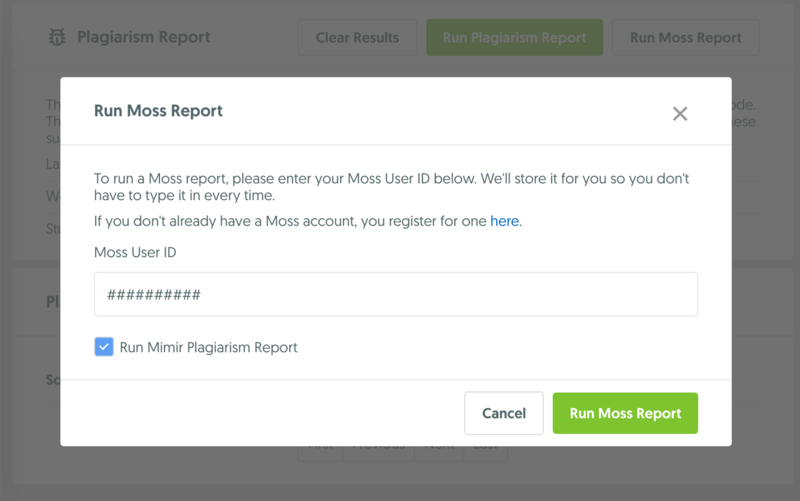 Note: You can change your MOSS ID at any time to another user ID at the time you run the report. After the report has been run, the interface will show the progress of the report and sound a chime when the report is finished. Mimir Classroom will also maintain a record of the results run and allow you to revisit the prior reports from the dialog interface. 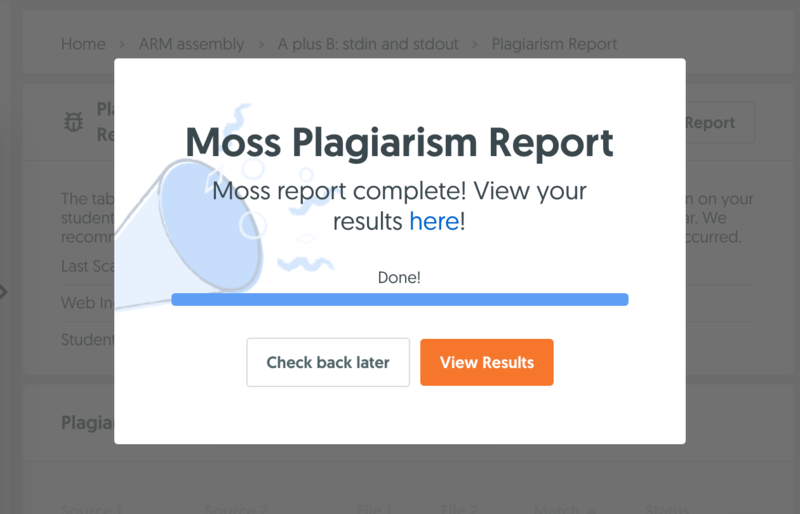 Mimir Classroom does not host the results of a MOSS report, it only maintains the record of the report run and allows the user to navigate back to the report form the interface. The results are hosted on the MOSS servers. The report also displays group project comparisons. Instructors will see the name of the group within the file 1 and file 2 comparisons.